Last month temperatures were rising and summer was on its way. I was longing for a little island getaway and on my wishlist, you didn’t find much more than swimwear and other stuff for the beach. I told you I wanted to live even closer to the beach than we do now, because it’s just so calming, relaxing and inspiring to spend time near the ocean, with you sand between your toes. But since it’s finally really summer, I’m happy where I am. Really, we are so lucky to live here, nearby the beach. I mean, it’s so hot. So hot! I basically live in my swimwear and only wear shorts and top or a little dress if I have to go out or when we go for a nice evening walk or take a refreshing dip in the black sea. I honestly can barely even think of needing to wear something and wish I could replace all of my clothes for bikinis. And my home for a nice holiday resort to relax and actually enjoy the sun.. So, this month my wishlist is filled with bikinis and other summer stuff again. But hey, I don’t need anything else, so what can I do? I’m in love with both bikinis! Luna, the first one, is from the brand Kiini and perfect to mix and match. They have quite a few different models and colours available, but this is my favourite one! The other bikini, Dasha, is from the Sardinian brand La Reveche. This would definitely be the first thing I would buy from my wishlist, I absolutely love this brand! I also really like the shorts, from Zaful. But, I’m not sure if it’s safe to order from this website yet. I’ve read on internet that this company is a big scam and also part of a bigger organisation, that contains also companies such as DressLilly and RoseGal. I’m not sure about it, but since I actually have an order coming in from RoseGal, I’ll promise to do some more research and keep you posted! 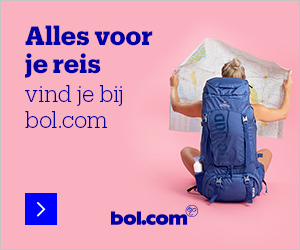 Next articleTijdens het reizen geld verdienen? Volg je droom met deze drie methodes!